WDIY's Space Music Program airs every Thursday at 11:04 pm. Click on the name, photo, or logo above to visit the artist's website. Thomas Park has been involved with music for his entire life. He was trained in classical and jazz music as a teenager and played the trombone and piano. His listening habits changed in the late 1980s when Thomas became interested in electronic music. 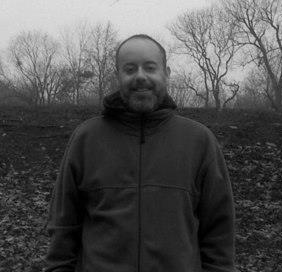 After several years of writing techno as the band AutoCad, Thomas was fortunate enough to collaborate with Robin Storey of Rapoon. This project helped Thomas to evolve into the ambient / drone band Mystified. Mystified has found considerable success, both through online and physical releases, and is known for being proficient, creative and prolific. The music of Mystified is mainly of an atmospheric nature. Sometimes for Thomas, less is more, making his music ideal for listening while working, sleeping or doing other things. The music of Mystified especially explores texture, consistency, and a type of variety that could be called subtle. This is not the utopian ambient of the typical soundscape artist. It is serious music for serious people. Mystified music has found many purposes, including scores for films, online and terrestrial radio shows, festivals of aesthetic, political, and other varieties, informational CD-ROMs, spots on many scores of compilations, and quite a few independent releases. Mister Vapor, a newer incarnation of Thomas Park, focuses especially on the hazier, foggier sides of ambient music. Thomas is open for collaboration. Joint Intelligence Committee is Paul Nagle and Phil Smillie. The bio that follows was excellently written by Paul, inspired, in part by coffee... and there are no typos! "The Joint Intelligence Committee are not to be confused with, although they frequently are. 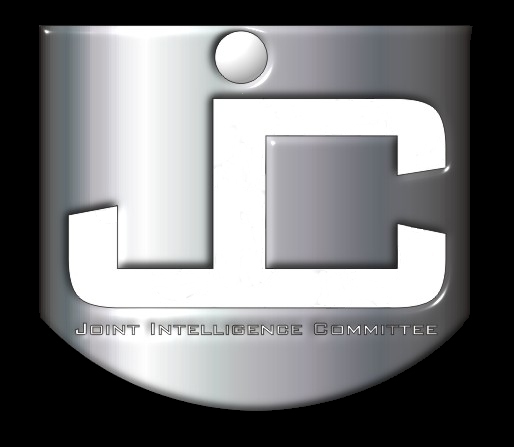 Formed after a fortuitous meeting of minds at an online synth forum, JIC consists of two full time committee members and a nebulous pool of special agents providing a variety of skills and fieldcraft. The JIC exists to provide an outlet for their groovily improvised and experimentally ambient musical noodles. Paul played his first solo gig in 1983 but for years remained in a rather serious, teutonic vein of doomy electronica as heard in such bands as Tangerine Dream. Fortunately, Paul met up with Phil Smillie and finally learned how to lighten up and party. As is typical with most late converts to anything, he threw himself into this with gusto, keen to make up for lost time. Paul writes gear reviews for Sound On Sound magazine and has programmed synthesizer patches for Roland, DSI, Access and others. Mostly he just likes to play. 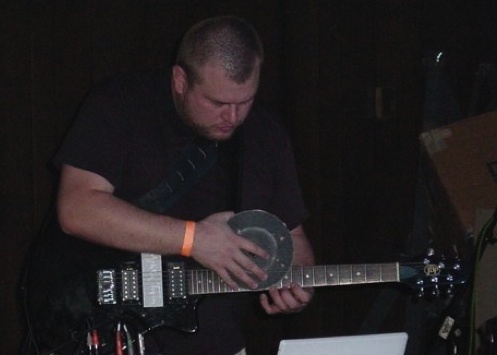 On his recent musical road to Damascus, Phil rediscovered his guitar and the joys of realtime looping, met Paul Nagle and realised that making music is so much more fun when computers aren't involved. Phil's other - more production-oriented - projects include psychedelic trance combo Cerebellum and its ambient techno offshoot, Drug Squid. JIC have performed at festivals, parties and planetarums, even though planetaria seem like where they should have been. That old latin obsession never quite dies eh? They like the dark, stars and space, them JIC boys. We don't know when or where their next performance will be. They don't either. They don't know much. But fortunately put them in a room with musical instruments and a good supply of Longbottom Leaf and magic will be spontaneously created. This is as deep as I can go without some oaths of fealty signed in jam." All albums are on Bogus Focus Records. As a pioneering cornerstone of electronic music, internationally renowned artist Steve Roach has dedicated over three decades to exploring uncharted soundworlds that connect with a timeless source of inspiration. 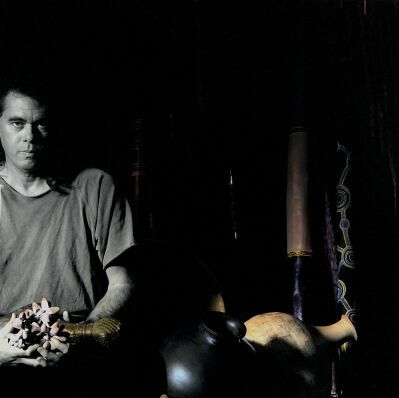 From the expansive, time-suspending spaces reflecting his spiritual home in Arizona to the fire breathing, rhythmic-shamanic expressions woven from all things electric and organic, Roach has earned his position in the international pantheon of major new music artists through a long list of groundbreaking recordings, fueled by his prolific nature and uncompromising approach. The core of this innovative world of sound has been nourished by years of intense live concerts in many extraordinary settings worldwide, further enhancing the emotive, cinematic soul-stirring depth of his music. Click on the name or photo above to go to the artist's web site. Born August 28, 1972 in Cedar Grove, New Jersey, Ken Elkinson competed on the junior classical piano circuit as a child. After studying improvisation and composition throughout high school and college, Ken released his debut CD in 1996, "Midnight Conversation" of solo piano music. Four additional original solo piano CDs (Reverly, Opal, Cue and Link), a Christmas piano CD (Generations of Yuletide), a CD of piano cover songs (Borrowed Tracks), a jazz funk CD (7890) and an Asian influenced spa CD (Eastern Spa) have followed. In 2011 Ken switched his focus to ambient and released a six CD box set of ambient music entitled Music For Commuting. That was followed by another four ambient CD set (Elemental) and now Music For Telecommuting Volumes 1 and 2 culled from tracks recorded during the Music For Commuting sessions in the vain of Brian Eno and Tangerine Dream. Ken’s music has received airplay on hundreds of radio stations, websites, satellite music and in-flight audio programs spanning the globe. 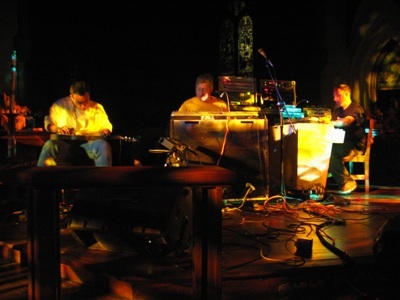 Radio Massacre International members include Steve Dinsdale (Keyboards, Electronics, Drums) Duncan Goddard (Keyboards, Electronics, Bass) and Gary Houghton (Guitar, Keyboards). Since 1993 they have been building a catalogue of epic electronic improvisations, distilled into permanent records by the wonders of digital editing. After accumulating a library of 30 such pieces they finally released the double CD Frozen North in late 1995, and appeared live for the first time at the Emma festival in Sheffield. The band was also featured on the BBC's World Service, thus finding a truly international radio audience for the first time. RMI had a website long before it was obligatory, and this has enabled the forging of relationships with listeners, promoters and radio stations across the world. RMI are veterans of TV, radio, and concert performances all over the UK, Europe, and the US. Andy Condon lives in the wilds of north Essex, UK, and has worked as The Glimmer Room since the turn of the century. He has left the live music scene, having grown tired of all the travelling and general upheaval life in a busy band entails. He retreated into the safety of the studio where he worked as part of a short-lived experimental dance collective called Neesh. A track on the Neesh album, sandwiched between all the 909 rhythms and thumping 303 bass lines, was a small track called Still Waters. This down-tempo piece was a turning point for Andy. With the end of Neesh, the start of The Glimmer Room became reality as Andy had finally found his true path in a mode of music he wanted to explore more deeply. That was early 1997. Five years later, the first Glimmer Room album was released on NeuHarmony garnering comparisons to Moby, Enigma, and Mike Oldfield. In 2004. Andy formed his own label, A-frame Media. Many releases later, Andy retired this label and started The Silent Rookery in 2013. With each new release, Andy forges new sound territory and production techniqes. Andy is a veteran of the Alpha Centuri electronic music festival in Holland and the Awakenings series of concerts in the UK. 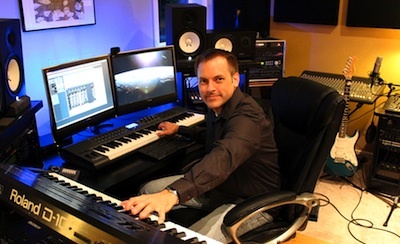 Jonn Serrie's name is synonymous with spacemusic. Known for his numerous works commissioned for planetariums around the world, he has reshaped and redefined ambient space music. In addition to his many albums, his body of work includes diverse projects with Lucasfilm Ltd., NASA, the United States Navy, Hayden Planetarium, Expo Seville, and CNN. Jonn's interest in electronic music began early with piano and church organ studies, eventually leading to a position as resident synthesist at Connecticut-based Electronic Music Laboratories in the 1970s. A fascination with space and aviation became the theme for his unique musical style. He is an FAA licensed pilot and lives in Atlanta. Dan Pound is from Santa Rosa, California. Profoundly influenced by Steve Roach, Dan's music stretches beyond those parameters into a space that Dan explores with aplomb. Dan was classically trained on piano, guitar and double bass at an early age and started writing songs soon after. He went on to be in the local honor orchestra and was soon writing pieces for the entire ensemble. 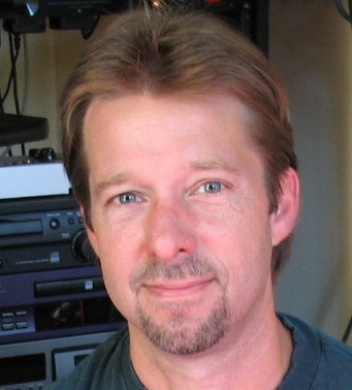 Besides performing and composing, Dan has earned degrees in recording engineering and electronic music technology, and has received credits as 1st engineer and mixer for an indie jazz release, "Crusin' Some Grooves" by the Steve Wolfe Quartet. Over several years, Dan has pieced together a home studio where he does most of his work, recording and producing his music independently. He specializes in music for film and multi-media, as well as recording and producing his own albums on his label, Pound Sounds. Several of Dan's songs have received airplay on many ambient radio programs, including the widely syndicated NPR program, Hearts Of Space, as well as many others. In September of 2009, Dan was named Artist of the month on the on-line web radio site, Stillstream.com. Many of Dan's CD releases have been ranked in several on-air programs' monthly and yearly top release lists. All albums are on Pound Sounds. Click the banner below to view and hear the WDIY announcement for the Special Focus. The core members of the band are Tony Andersen and Kent Eskildsen from Denmark, and Jens Peschke from Germany. They first met in 1999 on an Internet mailing list dedicated to the discussion of electronic music. All three members contributed tracks to the critically acclaimed compilation albums GoldTri: Volume One and GoldTri: Volume 2. A mutual respect for each other's music led to the idea of a collaborative project, and thus Navigator was born. Navigator's music begins with skilfully made sequences. Ranging from mellow to uptempo, these sequences are accompanied by a mix of melodic lead lines and atmospheric soundscapes along with softer mellotron sounds. The sound is traditional EM in the vein of vintage Tangerine Dream and Ashra, but with a modern edge. Kent Eskildsen: Keyboards, Flute, Guitars and Synthesizers. Tony Andersen: Keyboards, Percussion and Synthesizers. Jens Peschke: Keyboards, Percussion and Synthesizers. Dave Luxton is a producer, electronic musician, composer, and guitarist based in the Pacific Northwest of the USA. He is a classically trained musician whose diverse compositions span multiple genres to include guitar oriented compositions, cinematic soundscapes, rock, and electronic styles. 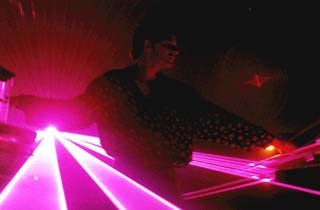 As a recording artist and performer, he is internationally known for his work in the ambient Spacemusic genre. He has released 11 solo albums to date. His music has been featured on numerous radio programs including Hearts of Space, Echoes, Star’s End, Stillstream, Alien Air Music, and others. 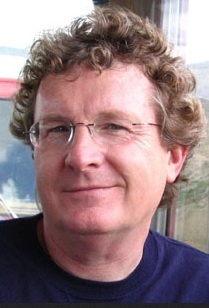 His film score work has been heard on PBS and in several independent films. Dave is also the founder of Wayfarer Records, an independent record label based in Olympia Washington USA. The label specializes in electronic and ambient music and its roster includes artists from around the world. Dr. Dave is also a university professor and author. All albums are on Wayfarer Records. Galactic Anthems a.k.a. Glenn Adams. Sound, as much as music, has always fascinated Glenn, especially sound that has no earthly connection. One album of great influence on him was “Quatermass,” by Tod Dockstader. It was quite remarkable to Glenn that Dockstader could create such incredible sounds from such mundane sources as the air escaping from a balloon. Once exposed to that album, Glenn was hooked forever on electronic music. He quickly purchased one of the first commercial synthesizers on the market and started making his own electronic music. Glenn went to the Berklee College of Music where he studied trumpet . There, he also started playing bass guitar and gigging with local bands. He moved to California where he eventually completed his degree in composition. Galactic Anthems music has been licensed for use by numerous cable TV stations including The Sci-Fi Channel, National Geographic, the History Channel, the Discovery Health Channel, MTV, and many others. All albums are on Galactic Anthems Music. Matt writes about art and artistry and music mostly, but occasionally other topics tickle his fancy. Matt's writing work has been published in Billboard, All Music Guide, BPMCulture Magazine, Artbyte, Electronic Musician, Detroit MetroTimes, and on dozens of websites. 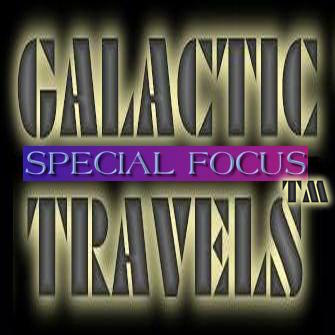 Galactic Travels is designed to bring WDIY listeners hour-long soundscapes of electronic, ambient, and space music.